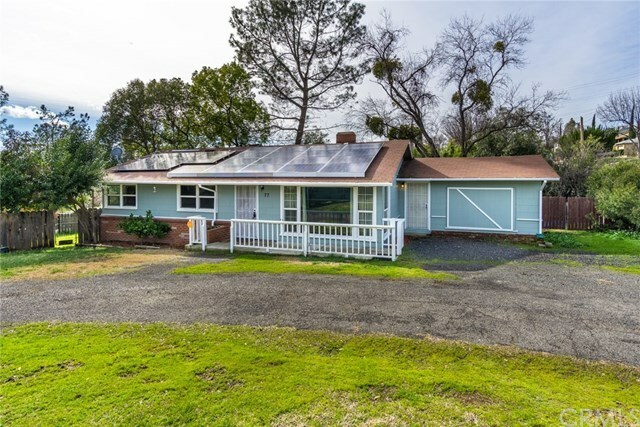 Cute and clean home with solar located in a lovely neighborhood in the East Foothills of Oroville. This 4 bedroom, 3 bathroom home features a cozy wood fireplace surrounded by unique stone, laminate wood flooring, tile counters in one of the guest bathrooms and a tiled walk in shower in the other, central heating and air, ceiling fans throughout and leased solar provides great energy savings! The kitchen offers stainless steel appliances, a gas stove, a kitchen island and breakfast nook. Like to be outside? The large backyard includes a concrete open patio and plenty of room for gardening and entertaining. Make this home yours today!